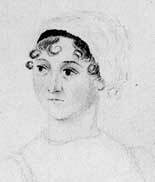 Poignant episodes from Jane Austen's letters and novels performed in period costume. The scenes are interspersed with the music of Haydn, Mozart, Beethoven, Field and Mendelssohn, evoking the mood and atmosphere of the readings. "A vivid and moving evocation of Jane Austen's writings, with music from the Regency period. A delectable Soirée, designed and brilliantly performed - not to be missed!" "A delighted audience listened with rapt attention and were enchanted by the music and the readings." "An excellent, varied performance, both music and readings recreated the period extremely well." The Jane Austen Evening recreates the ambience of a musical soirée in the time of the Prince Regent. Music of the period, performed by a trio of violin, cello and piano, is interspersed with readings from Jane Austen's novels and letters, giving the audience an insight into Jane Austen the woman as well as the novelist. The performance, given in period costume, has extracts from her letters and four novels, Sense and Sensibility, Pride and Prejudice, Persuasion and Emma, the mood and emotion of which are exactly reflected by the carefully chosen music by the masters of her time. This Jane Austen evening aims to give a thought provoking, deeply satisfying evening with music and literature of unsurpassed quality. The Brontës Encountered features the poetry of Emily, Anne and Branwell, extracts from Charlotte's diaries and reminiscences of her great friend Ellen Nussey and readings from Jane Eyre and Wuthering Heights, novels which have brought Charlotte and Emily worldwide fame. Also wonderful descriptions of life at that time, from Charlotte's novel Villette. Music, which has been carefully chosen to to reflect the mood and emotion of the readings, is performed by a trio of piano, violin and cello. 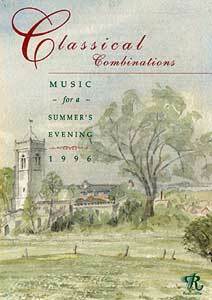 Music by the great romantic composers of the day, Schubert, Mendelssohn, Schumann and Brahms, and England's own romantic champion, Sterndale-Bennett, whose music was highly regarded by both Schumann and Mendelssohn. The music is haunting, passionate, evocative and humorous. was that one family could produce four such talented writers. This performance brings that genius alive. Sir Henry Bishop and John Ruskin. 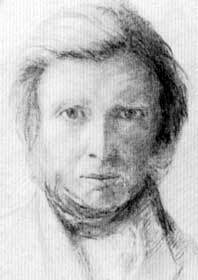 John Ruskin was one of the greatest figures of the Victorian age. Poet, artist and critic, he was also a social revolutionary who challenged the the moral foundations of 19th century Britain. A pioneering conservationist, Ruskin was the original "Green Man", foreseeing the "greenhouse effect" more than a hundred years ago. Ruskin's ideas came to shape much of our thinking today, and his words are as relevant now as they ever were in his own lifetime. and his attempts at musical composition. 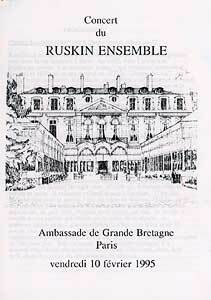 The Ruskin Ensemble have been invited to play at many prestigious events and venues throughout the UK and Europe. 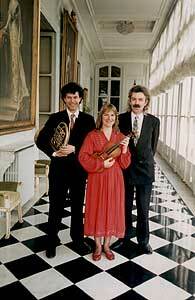 In 1998 they toured extensively in the Netherlands, including several concerts in Amsterdam. They were particularly honoured to perform at Number 11 Downing Street in London, the official residence of the British Chancellor of the Exchequer, and at the British Embassy in Paris. 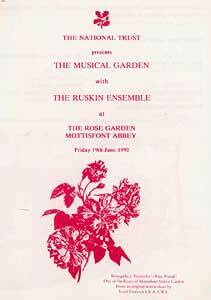 The Ruskin Ensemble have given concerts in music clubs, arts centres, castles and country houses throughout the British Isles. They are regular visitors to National Trust houses and gardens and have given many concerts for charity including Save the Children and the Welsh Wildlife Appeal. They are particularly committed to taking classical music into the community and have given concerts in over 50 small villages, along with workshops in local schools and performances in hospitals, hospices and residential homes. 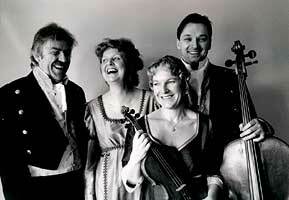 In 2000 they were awarded a Millennium Grant for an exciting five day project in Jane's home village of Rusthall.